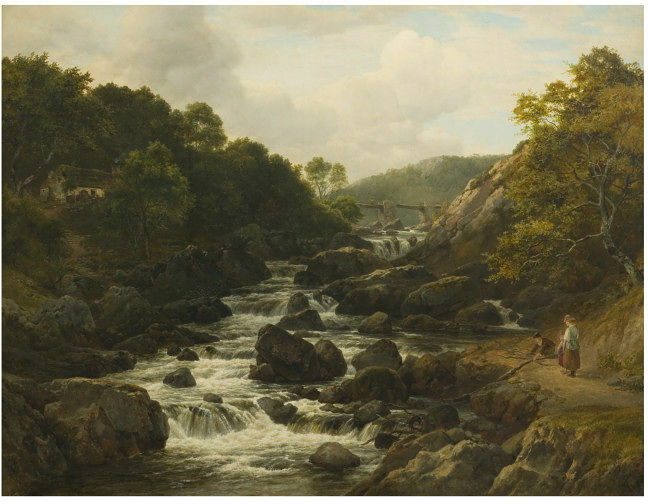 An oil painting of a Welsh landscape with a waterfall. In the foreground a boy gathers wood while a girl looks on. Bequeathed by Joshua Dixon, 1886. A paragraph in the Art Journal of 1874 noted that when the painting was exhibited at the Royal Academy in 1864, it was purchased by Mr G. Wallis (p.43). This could possibly refer to George Wallis (1811-1891), Senior Keeper of the Art Collections at the South Kensington Museum 1863-1891. Historical significance: Edmund Gill was born in Clerkenwell, London, on 29 November 1820, the son of a japanner, with whom he settled in Ludlow, Shropshire. Without receiving any regular instruction in art, he became a portrait painter. In Birmingham in 1841 he met the landscape painter David Cox (1783-1859), whose work had a lasting influence on him. Gill went to London the same year, and in 1843 he entered the Royal Academy Schools. From this point onward he painted landscapes, especially in Wales, exhibiting at the Royal Academy from 1842 to 1886. He became so well known for his views of cascades and waterfalls that he became known as 'Waterfall Gill'. He died on May 14 1894 at Hackbridge, Carshalton. 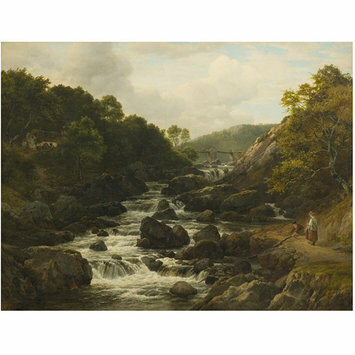 The popular pictorial image of Snowdonia was invented by the Welsh landscape painter Richard Wilson (1713/14-1782) in the 1760s; however, the landscape became much more accessible from the 1840s, especially after the arrival of the railway at the coastal resort of Llandudno in 1848 encouraged large scale tourism from Liverpool and further afield. 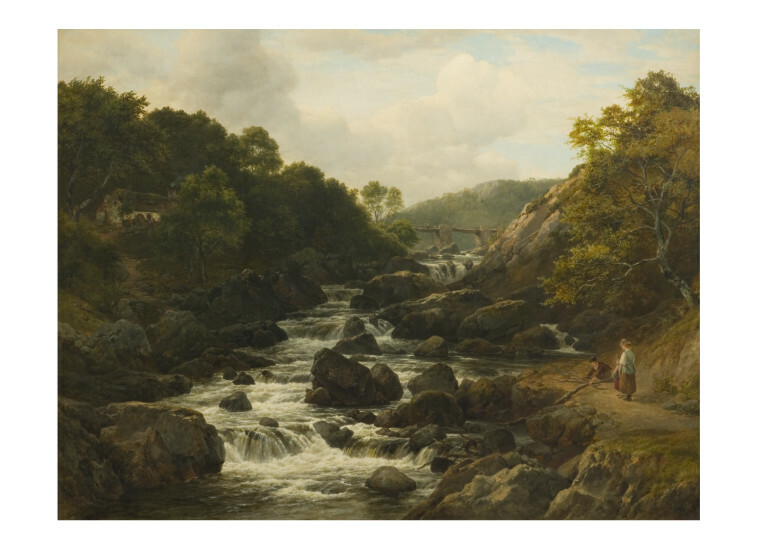 David Cox visited Betws-y-Coed to paint every year between 1844 and 1856, encouraging many other artists to work there. This painting represents a scene in the Lledr Valley, not far from Betws-y-Coed.